As Benjamin Franklin famously put it, Americans have a republic, if we can keep it. Preserving the Constitution and the democratic system it supports is the public's responsibility. One route the Constitution provides for discharging that duty--a route rarely traveled--is impeachment. Cass R. Sunstein provides a succinct citizen's guide to an essential tool of self-government. He illuminates the constitutional design behind impeachment and emphasizes the people's role in holding presidents accountable. Despite intense interest in the subject, impeachment is widely misunderstood. Sunstein identifies and corrects a number of misconceptions. For example, he shows that the Constitution, not the House of Representatives, establishes grounds for impeachment, and that the president can be impeached for abuses of power that do not violate the law. Even neglect of duty counts among the "high crimes and misdemeanors" delineated in the republic's foundational document. 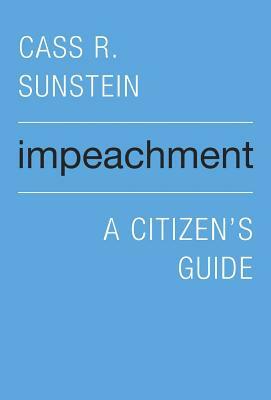 Sunstein describes how impeachment helps make sense of our constitutional order, particularly the framers' controversial decision to install an empowered executive in a nation deeply fearful of kings.